This year has definitely been an eye opener for me. So many things have happened in this world and I've learned so much about myself. I'm sure we can all agree that this year had a lot of ups and downs. I know for sure we had a big surprise, most wasn't expecting. But with that being said I can't believe it's almost a new year. I'm not a philosopher but I do like to share positivity to people. During negative times, it's important to have hope and positivity. I've learned a lot this year. When I graduated from high school, I thought I knew what I wanted in life. When I turned 21 I thought I knew myself, not realizing that I was just starting my journey of self discovery. Although I don't completely have it all together, I do however know what I want to do. When I would see someone who already knew what they wanted in life, I thought something was wrong with me. Why didn't I know, but I realized that I wasn't ready or prepared. But now I am and I'm ready to prove to myself that I can. Through darkness there is light and it you will find it. It may take longer than others but it's there. Not only have I grown as a person, but I've grown as a blogger! In the past, I've always said how I want to blog consistently. But obviously it didn't happen that way. I know I've been consistent for a few months now, but I mean for the whole year. 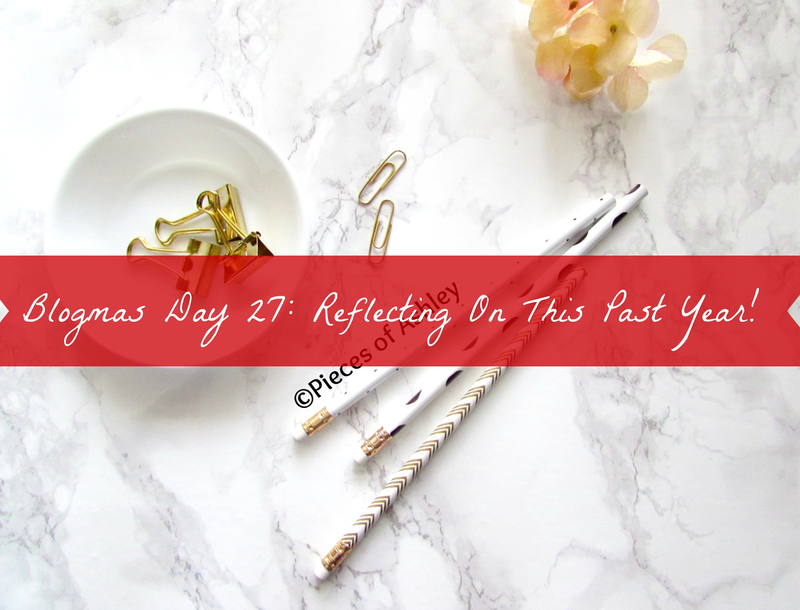 The time I spent uploading a post everyday made realize how much I love blogging. During my time blogging and with the breaks I've taken, I know for a fact that hard work pays off if you try. Whenever I felt discouraged from blogging I would stop for a period of time. Neglecting social media and only blogging from time to time. Now I will admit that for the first two years of blogging I had trouble with my computer and couldn't really do it consistently like I wanted to. But the other ones I don't have an excuse for it. I know everything is not perfect, there's no such thing. But if I didn't feel confident in what I was doing, how could I expect someone to read what I wrote. I have become a better writer though, so I'm happy about that. I don't compare my blog to others anymore, which would bother me in the past. Everyone and their blog is different. Just because someone is getting all of these comments and people are noticing them, doesn't mean it won't happen for you. Whenever I see a blogger reach a milestone and have other successes I get really excited for them. They work so hard and deserve it. That motivates me to work even harder. So I hope that we all have a good year and you know what, I believe we will too!